Getting 100% on the Rotten Tomatoes Tomatometer means a lot to people. It's a very coveted rating for any movie to get, and very few have been successful. Though a few classics have managed to get there, some have only gotten close. Maybe off by a percent or two. But that still makes them nearly perfect in the eyes of the audience. And that is what we are celebrating today, movies that got 100% on the Tomatometer at Rotten Tomatoes. Or movies that got extremely, extremely close. The Tomatometer, ever heard of it? That little percent meter that people now use to decide if they should or shouldn't see a movie, all according to its rotten score. This so called 'rotten rating' has gotten me in a lot of trouble. How you ask? Lets just say that when I suggest a movie to see and somebody says, "It only got FILL IN THE BLANK percent on Rotten Tomatoes," my response is usually that said person should learn to think for themselves. This is in no way a dig on Rotten Tomatoes. That site has a done a splendid job at aggregating reviews no matter how rotten or fresh they may be. And, to quote the late, great Muhammad Ali, "It ain't bragging if you can back it up." I don't think I've seen a movie that scored highly on Rotten Tomatoes' Tomatometer that I didn't think was good. At the same time, what makes movies good or bad? Aren't we ultimately just discussing subjective opinions? Whatever we are doing, Rotten Tomatoes appears to be documenting it, and in the process creating a catalogue of titles that people can use to find out important information about almost any movie. And what it is that information? Probably the most important thing that we as consumers have. We might not have a lot of control over how our tax monies are spent, but we sure can decide where we're gonna spend our hard earned duckets at the box office. That Rotten Tomatoes succinctly cuts to the heart of that discussion (for most people) is where its real power seems to lie. It should come as no surprise that most Pixar movies rest in the upper echelon of Rotten Tomatoes movies and their rotten scores. 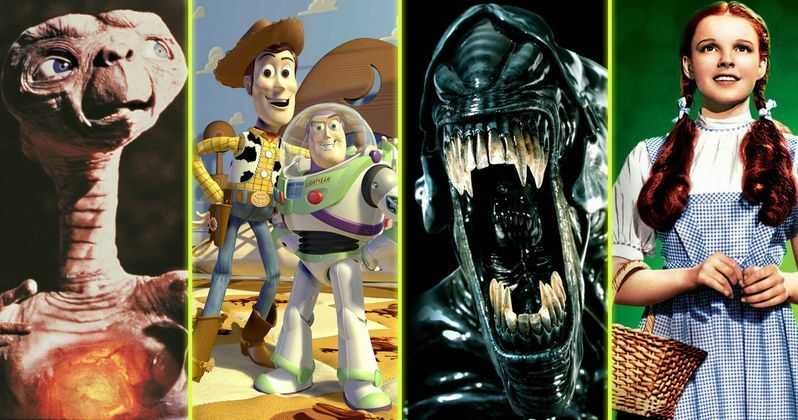 But Toy Story is the first and best. We've all had a favorite toys. If we're lucky we've all had best friends or been best friends with someone. There always comes a time when we feel as if our position on the friendship totem pole is threatened. If we're lucky we come to understand that all we need to do is love ourselves and everything else will fall into place. So powerful is Toy Story, it has managed to garner a coveted 100% rating on Rotten Tomatoes' Tomatometer. So original is this story that it seems like a crime if this film didn't earn 100% from Rotten Tomatoes. Making The Terminator shine even more is the fact that its story (and storytelling) is even certified fresh today. This time traveling tale about a man coming to the present (or past), to save the life of the woman who gives birth to the world's savior in the future never gets old. Audiences seem to appreciate when something familiar is shaken up a bit. When it is turned on its head and spun every which way, it makes something like the Tomatometer stand up and take notice of a genre busting film like this.